Norwegian Cruise Line’s Vanessa Picariello, senior director of public relations has confirmed with Cruise Hive that the new rule is just to stop guests from carrying plates full of food around the vessel. This can lead to messy walkways, especially outside staterooms. We can also confirm that drinks are not banned around the ship and drinks services will continue as normal. NCL has also reminded us that morning coffee and continental breakfast remain complimentary through room service as well. Norwegian Cruise Line has banned food outside of dining venues and around the ship. Just something to ponder and weigh out…. Passengers will no longer be able to take any leftovers back to their cabin or take food to their deck chair. often onboard guests can be seen carrying around trays of food around the ship that can often cause a mess in the public areas. We don’t yet know the full story of how NCL will control this but what we do know is that it will hit passengers in different ways. this news comes after norwegian Cruise Line offered free dining at Asian restaurants and an increased service charge for room service. The cruise line has also announced an expanded freestyle choice promotion through the month of May. 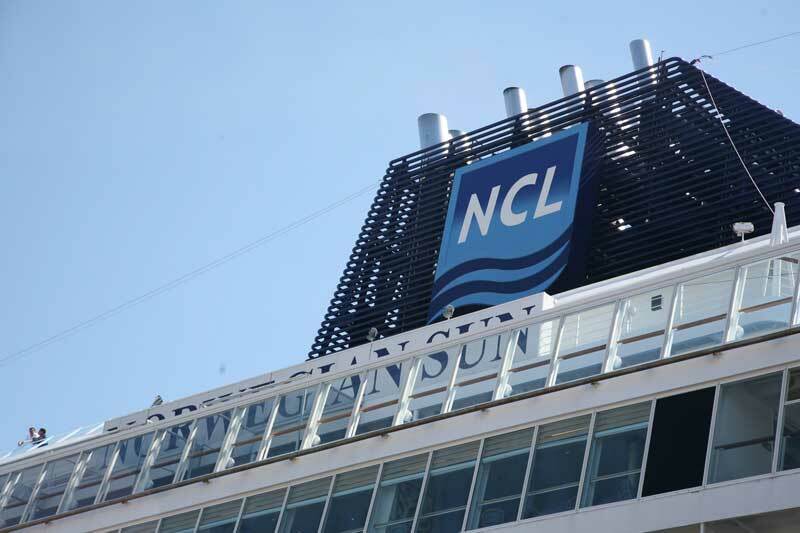 Cruise Hive has reached out to NCL for details on no food outside of dining venues and will update this post once we know more. After a huge $50 Million renovation the Norwegian Joy cruise ship has arrived in the U.S. for the very first time.